La Gloria Cubana is another old Cuban brand that has since had to flee and begin making their cigars elsewhere. The story of their brand is a story that is all too familiar to those who love cigars; They were doing very well in Cuba, and then came the violent communist revolution. Cuban death squads were roaming the country, and they were killing people in the business of making cigars. Many fled, some were injured, some were exiled, and some were outright killed by the government. Those who fled or were exiled often went back into making cigars, beginning as boutique cigar companies, and slowly growing into some of the titans of the industry that you know today, and La Gloria Cubana continues to grow and to be able to offer their amazing cigars further and further. So what makes their Serie R cigars something that are so delicious, so worth trying, so amazing to those who have had them? Well, you begin with a man who has been blending cigars for almost his whole life. He takes tobacco from the Dominican Republic, and he ages it a few years longer than usual, then puts it in a dark and delicious, oily, flavorful Maduro wrapper. 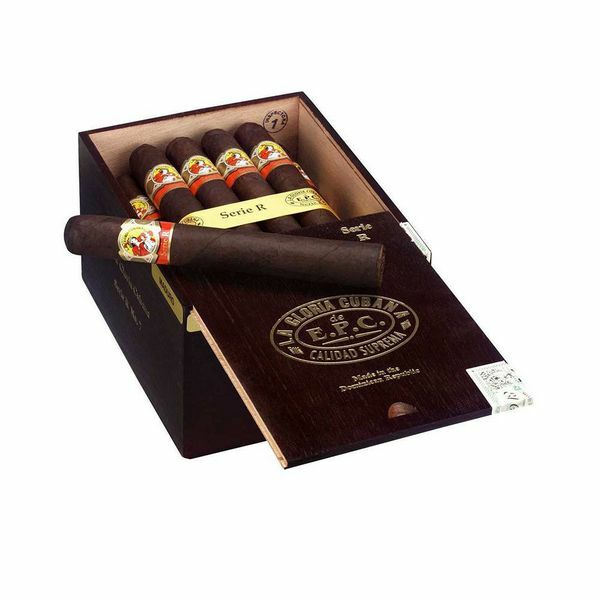 This leaves you with a cigar with coffee and earthy notes to it, one that is amazing to smoke, and one that gives off voluminous clouds with each puff. What more could you ask for from a delicious and full-bodied cigar?